Nightingale Farms Celery bunch for 10p instore in Tesco! 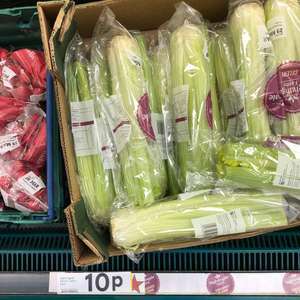 Celery bunch for 10p in Tesco! Cruelty to vegetables! I can't believe you could make celery suffer by chocking it to death in plastic! You should be chewing on dead animal flesh, instead! Bargain! I bought a load for 4p each last night but they were yellow-stickered.